With the Marketing Planner all marketing activities can be optimally planned and coordinated. It is the starting point for the planning , budgeting and the operative Implementation of all your marketing measures – across all conventional and digital channels. Through the Marketing Planner all information is available for all involved in a transparent way and at one central point. This way confusing and maintenance heavy planning sheets belong to the past. Say “bye” to messy planning tables and coordinate your marketing plan from one central point. 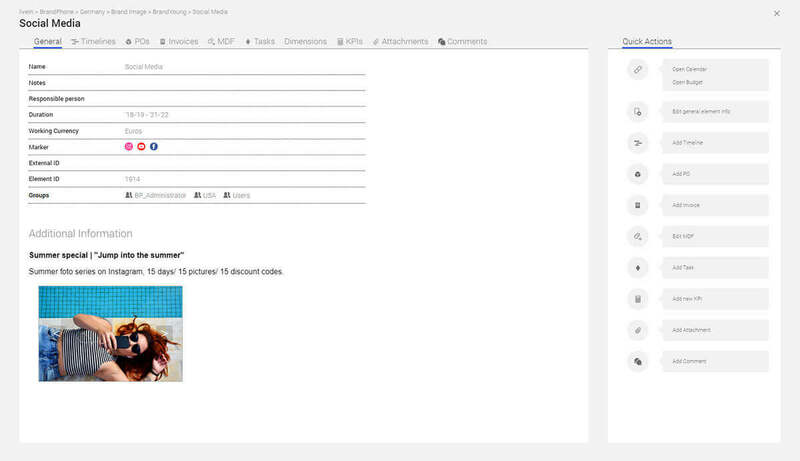 Connect your marketing activities with the corresponding budet via the Marketing Planner. 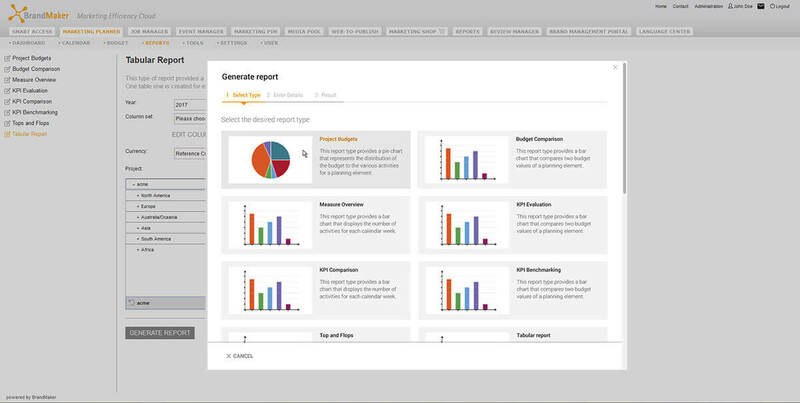 Measure the success of your marketing activities with stakeholder-based reports and KPIs. The freely configurable planning structure adapts itself to your needs in the best possible way. The level of detail can be adjusted at any point to match the requirements and wishes of your stakeholders. 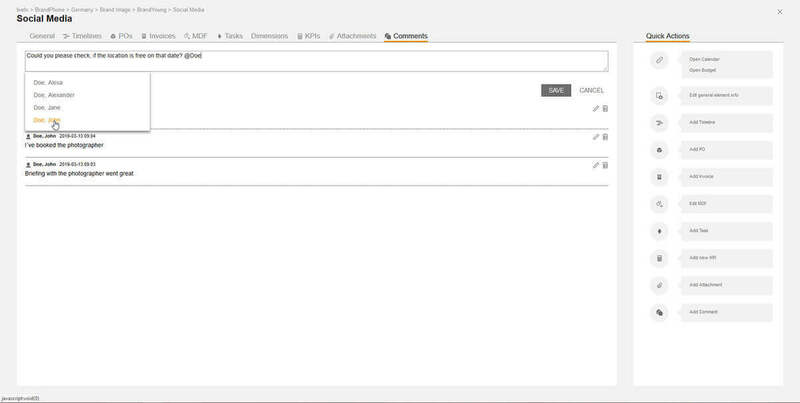 Saved filter views and formats enable you to create the needed overview according to your wishes easily. 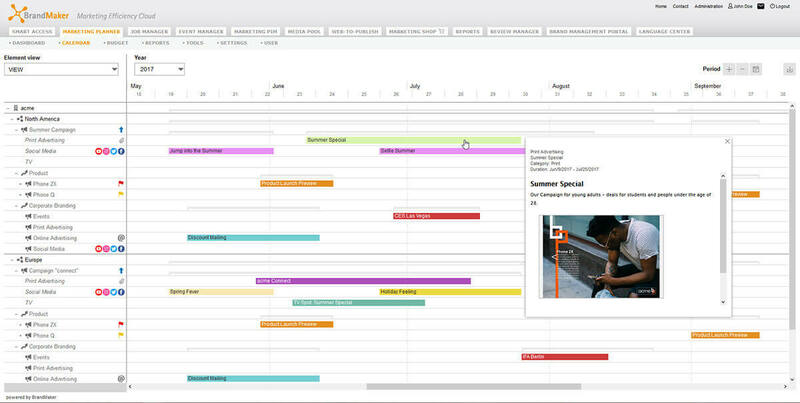 Via click you can effortlessly switch between the calendar and budget view. 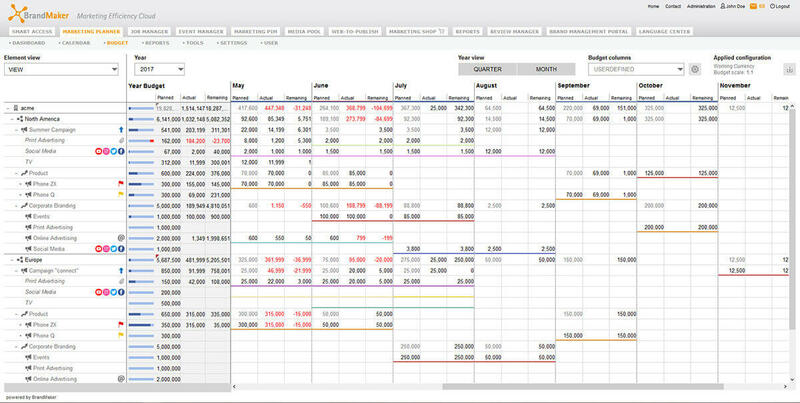 In the budget view you’ll find all necessary budget information in the currency needed – this will keep your finances in your focus at all times. Individually defined KPIs enable data-based assertions about the success of a campaign and its marketing ROI. 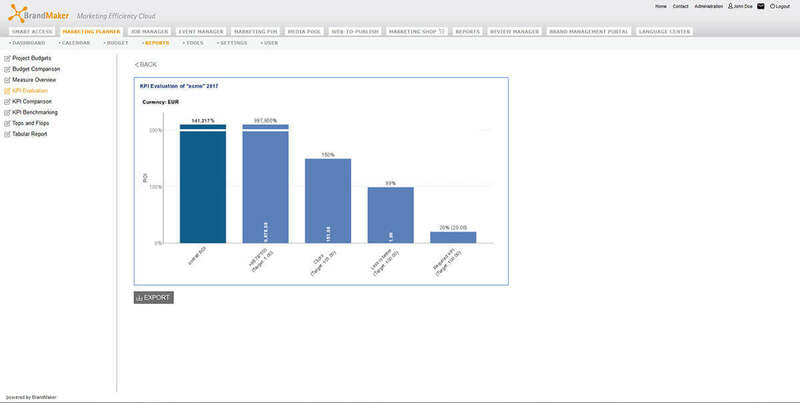 With the push of a button conclusive reports and analyses can be created, always based on current data. 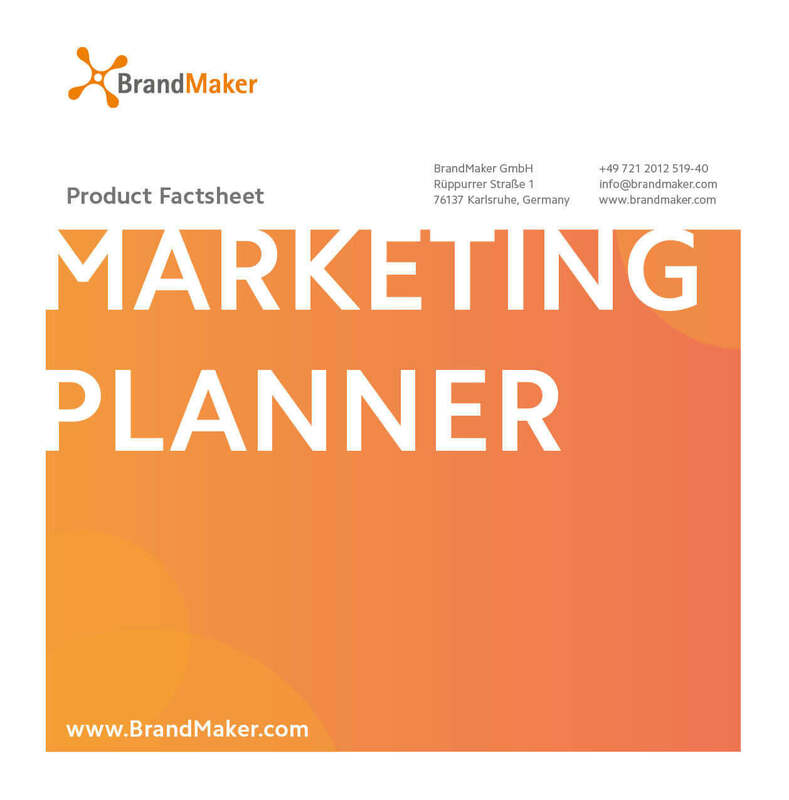 Establish a transparent working environment for you marketing team by using our Marketing Planer as central management solution for the planning and budgeting of your marketing activities. The web based tool enables all involved to access all relevant information quickly and location independent. Due to the flexible right and roles concept enterprise-level corporation can define team specific areas with clear access rules for the data available. No core technology can operate as an island. That’s why BrandMaker has built world-class integrations with a variety of other enterprise management software components. The net result is one connected MRM software platform that increases data accuracy, reduces administrative burden and boosts productivity. Learn more about the BrandMaker software with a personalized demonstration. See how a holistic approach allows you to scale marketing for greater success.